Charles Wilson Peale (1741-1827) was an American painter best known for his portraits of George Washington. 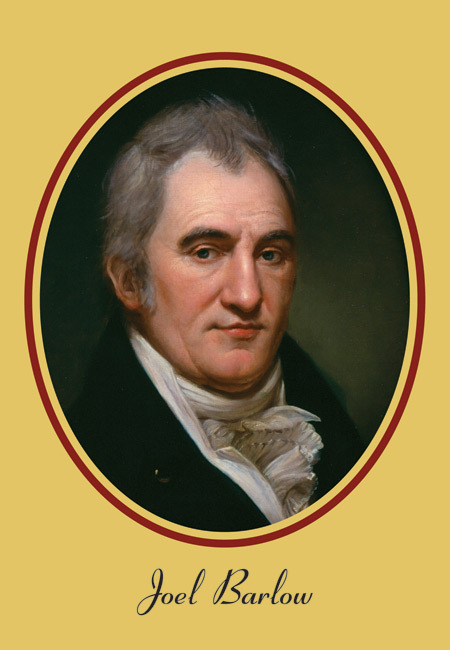 Peale was a true Renaissance man, and his interest in natural history led him to found a museum. Three of his sons became well known artists as well and a fourth was an important naturalist and pioneer in photography. The image used in the Call Box on Joel Barlow is from a painting in the collection of the U. S. Department of State and is used with permission.